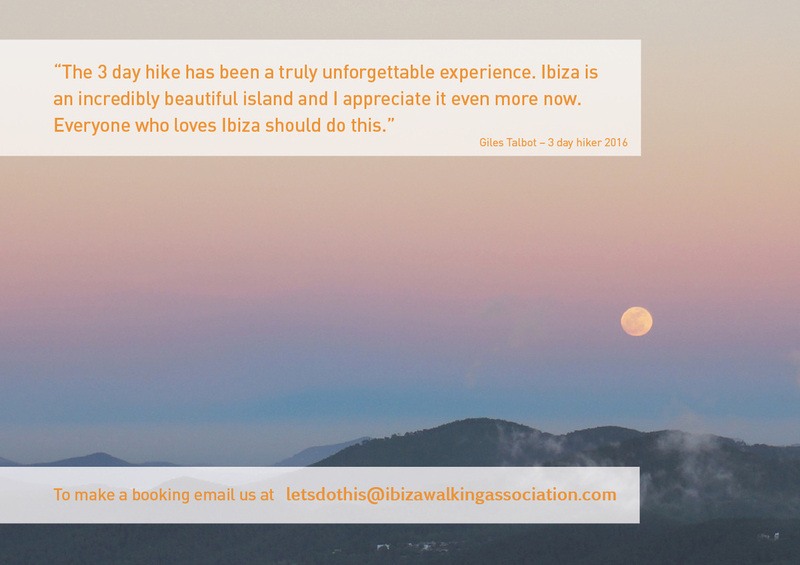 You don't have to live on Ibiza to experience how beautiful it is. 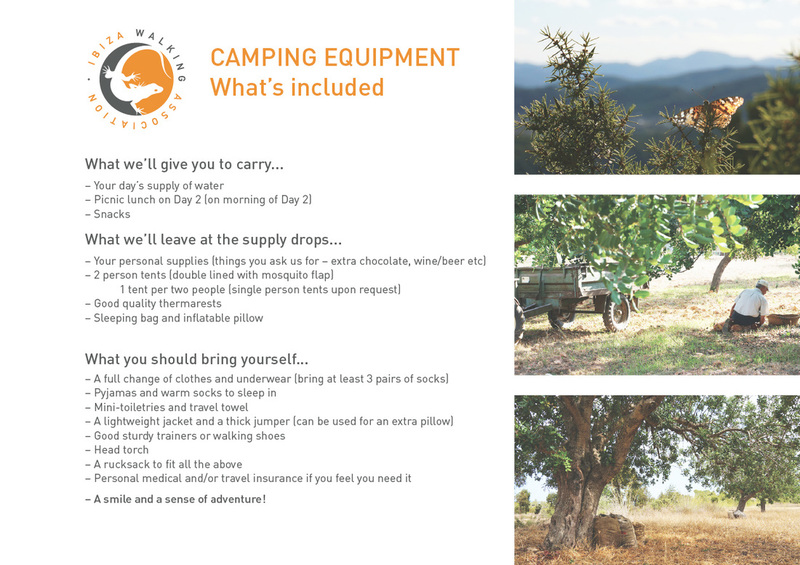 Take advantage of our 'early-bird' spring 2016 offer. 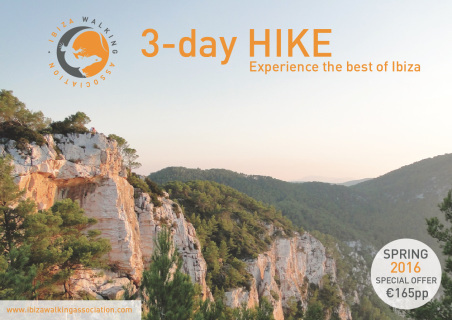 There’s no better way to enjoy the breathtaking nature of Ibiza than going on this fully guided hiking trip across the hills of the northwest corner of the island. 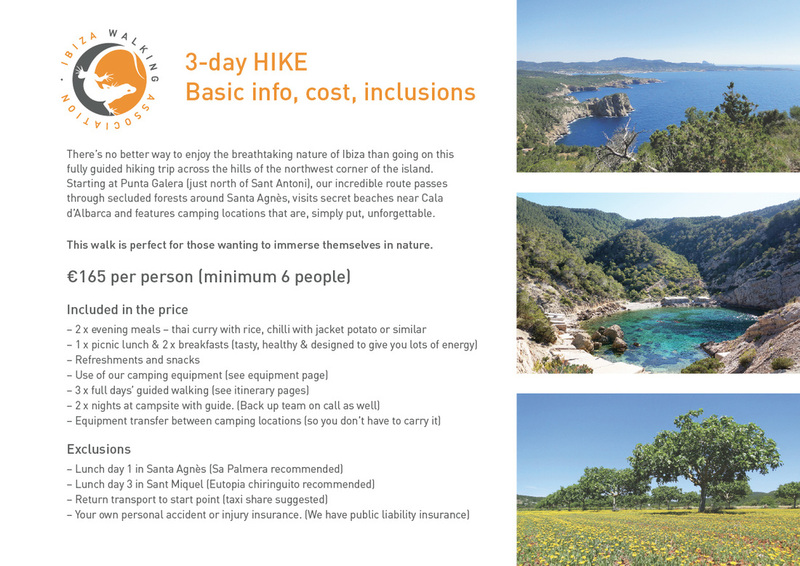 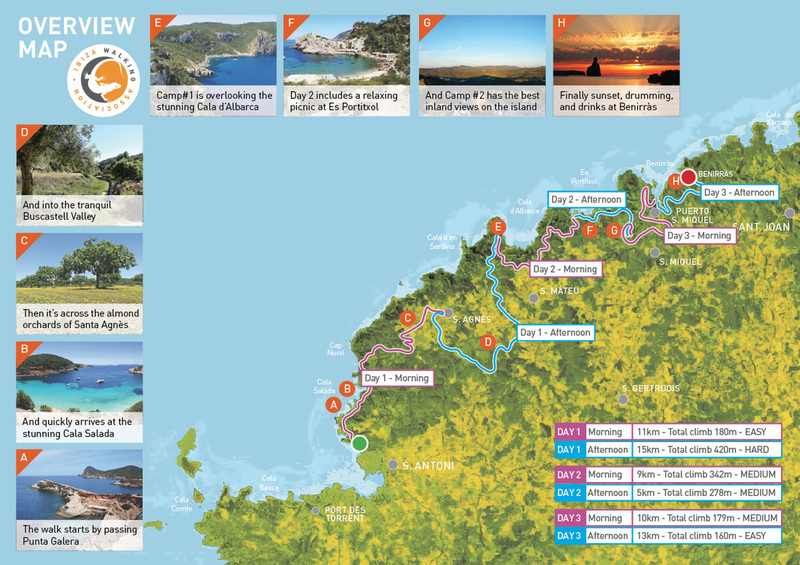 Starting at Punta Galera (just north of Sant Antoni), our incredible route passes through secluded forests around Santa Agnès, visits secret beaches near Cala d’Albarca and features camping locations that are, simply put, unforgettable.